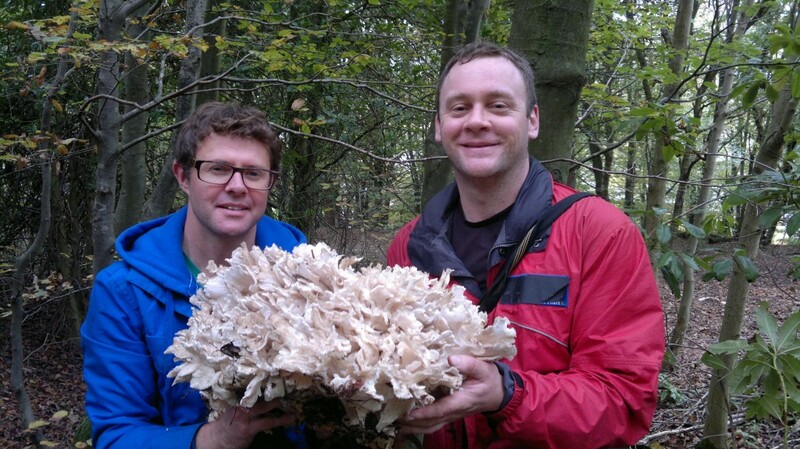 I am Mark Williams and through Galloway Wild Foods I hope to share my passion for foraging and the delicious and nutritious food that you can gather for free in the wild. I also offer guided walks and tuition on woodland, hedgerow and coastal foraging. I regularly consult on foraged ingredients with food and drinks companies and work closely with chefs, barmen, nutritionists and herbalists to explore the possibilities of our wild larder. I write regularly on foraging for national and local press and various websites. All my work seeks to restore vital connection between humans and nature, restoring us as keystone species, sensitive to the web of life of which we are part. After stumbling on my first chanterelles at 16, my fascination with wild foods swelled like a cep in the rain. My interest in great, well-sourced food has led to jobs as a fisherman, smoker, chef, full-time wild food forager, dairyman and now I am Scotland’s only full-time foraging tutor. I don’t sell any wild foods – it spoils all the fun for me, though I am certainly not against those with the skill and knowledge to earn an income through the thoughtful utilisation of wild resources. Considered foraging – whether for personal use or bought – is not something we should feel guilty or apologetic about: foraged food has less food miles and impact on nature than any cultivated food. Read more on this here. 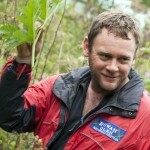 I take great satisfaction from helping people to unlock their edible landscape and get to grips with wild resources. I work with a diverse range of groups, from the world’s best chefs to school groups – and love seeing them all get equally excited by the amazing range of flavours and textures on offer. Click here to read more about what I offer. I hope this site will appeal to bushcrafters and herbalists, but my main focus is on finding, identifying, preparing, cooking and eating unpretentious but delicious wild food. I am an active member of The Association of Foragers, an international web of foraging teachers and practitioners who share good practices, undertake research and promote foraging as means of engaging humans with the natural world, sees humans as a part of nature, not apart from it. My seasonal tips look closely at how to get familiar with whatever is in season and Tweeters among you can get daily updates on what I am finding at @markwildfood. I also regularly post information on what i’m finding on my facebook page. The Wild Food Guide introduces the vast array of wild foods that the UK has to offer and I have attempted a rating system to help beginners focus on the most rewarding species. The recipe pages will hopefully offer inspiration on what to do with them. Perhaps even more important are the pages on poisonous species. Those wishing to learn more can contact me to arrange personal tuition or join one of my organised forays. My foraging blog charts the ups and downs of my foraging year and airs my thoughts and ramblings on foraging issues and food in general. Thanks, i’m glad you enjoyed the walk. Its a great bit of forest. Do keep an eye on my events calendar and facebook for notification of forthcoming events. Hi Mark I live in Cumbria and was wondering where your walks are as I want to get one as a birthday present for my Dad. He already loves going out collecting berries and fruit. I thought he would really enjoy seeing what else he can get as he says it’s food for free. Also can you bring your dog along on your walks. Thanks for your enquiry. You can view my scheduled walks on my Foraging Events Calendar (see menu on right). This is currently work in progress and I am actually heading down to Cumbria tomorrow to sort out some venues for walks – so please keep checking – i’ll definitely be doing some. If that doesn’t work out for him, I can be booked for private tuition – again, see the menu on the right. I’m afraid I don’t usually allow dogs on my walks as they tend to pee/walk/sit on things we want to look at! Brilliant new site Mark! You deserve another cocktail after all that work. Have you written a book on all your foraging forays etc.? And if not why not! So much good information, thank you. Hi Lene, Thanks – so glad you are enjoying it and find it useful. I am currently in the early stages of writing a book, but I wouldn’t hold your breath! In a way, i’ve already written it for free, through the pages of this website! 1) May I please ask if you could collate ALL of the content of your website, including each entry as you add it, to form a book or books? It can be more than an uphill struggle to safeguard ‘natural world’ and living skills knowledge as it is, including for any future generation(s) of humans, and when those knowledgeable with bushcrfat, foraging, etc. keep on putting their comments/knowledge on computers, online, in blog-format, disparate entries, weblinks to other recipes etc., it is (putting it politely) timeconsuming and oftentimes difficult to try to safeguard that knowledge. Further, their doing so makes the communication of that knowledge significantly dependent upon electricity, computers, networks, internet, satellites, infrastructures, latest software, latest hardware, access/permissions, no ‘planned obsolescence’ of machines, no machine failure(s), etc etc etc, and websites and their content will usually last for a few years at most. Paper book(s) can last for many hundreds of years. I have future plans to produce information worldwide that does not require written language. Perhaps you might like to consider how you record your knowledge, in such a way that is visual and as best as practicable does not depend upon the ability to read. May I please ask if you can collate all your existing website entries, and all new entries, inherently and permanently into a format that is conducive to being saved as a paper book, please? 2) Many people have allergies, such as nut allergy, penicillin/’mould’ allergy, etc. If they have actually experienced serious allergic reaction, perhaps life-threatening to them, then it might well be the case that they are seriously ‘turned-off’ from foraging, and really do feel that every consumption of a ‘new’ foodstuff, to/by them, is like playing Russian roulette. Those who do no have allergies perhaps tend to think something like: “Ah well, it’s survival of the fittest, sorry about that”. However, as some Aboriginals/Bushmen have disabilities, allergies, etc… they can still live and perform useful/helpful/important/unique functions. May I please ask if you (and colleagues) could attempt to pro-actively aid those who might be at risk of allergic reaction, by trying to ascertain what plants (etc.) have been reported to offer any allergic reaction and to make that clear, and also to be as clear as you can be to be careful about saying that something tastes/smells ‘nutty’ (for example) because that automatically raises the question “Well, is it a nut, or not, and even if it isn’t a ‘nut’ (not necessarily botanically-speaking) are the chemicals in/via that foodstuff in-effect the same as or similar enough to and/or combine to in-effect be as a ‘nut’ and thus could cause allergic reaction(s)?” For example, Pignut, Conopodium majus. A tuber, you might say. It has ‘Nut’ in its title. People describe its taste as being ‘nutty’, ‘like a walnut’. But is it a ‘nut’ in the sense that it’s constituents could significantly be allergenic, or not? Tiger Nut, Cyperus esculentus sativa, a Sedge, yet, again, descriptions are about the ‘nutty’ flavour, and ‘Nut’ is in the name. Peanut is a ‘ground nut’, so to speak, rather than a ‘nut’ per se. Most foraging ‘experts’ talk/write about the ‘Almond flavour/scent’, ‘Nutty’ taste/smell/texture, ‘Walnut taste’ (say, the Leichhardt tree fruit), but the person(s)/children with personal experience of dietary allergy are already, up-front, sweating, worried, and know that their life could be at risk to even try/test some foodstuffs, bandied-around by so many foraging ‘experts’ using such terminology. May I please ask if you might be able to join with other ‘foraging’ experts, UK, USA, etc., and ‘Wild Food’ restaurants, and both to a) begin to try to ascertain both known allergic risk(s)/experience(s) with particular food(s)/plants, and also to b) internationally begin to separate out the terminology used, from tasting/smelling ‘nutty’ (but no risk of allergy), as compared with ‘nutty’ (could kill you)… As you will know, the distinction/murky-issue is comparable to the blithe use of the word ‘blanch(e)’ in foraging, cooking, gardening etc. texts. Do they mean cover from the light, or boil in water for a short while, or both (and sometimes the distinction is significant/serious)? The same applies to the overlapped use of terms such as ‘Nutty’ (is it allergenic and/or not-allergenic? Is it safe or with risk-of-imminent-death?). It’s a poor overlap of terminology that doesn’t help many people/children, who might also be the kinds of people who, despite their allergy, would aid the natural if only they can be less unsettled about living ‘in’ that world…. Amelanchier – they say the seeds/fruit taste a little ‘Almond’-like, but does that mean they are safe to eat by those with nut allergy, or not? Same with Apple pips, and that Almond is linked, at least in part, with the Cyanide precursor content. It’s all very muddled…. and more clear info is needed. 3) Just thought I’d ping this off to you, since I’ve written the above. Hemlock Water Dropwort, one of the UK’s most poisonous plants (to humans/cows, at least). I would ideally like to know of there is any leaching of their root/tuberous/crushed-tissue(s)/non-crushed-tissues Oenanthe toxin(s) into the surrounding water and, thus, as to whether (say bushcraft-esque) taking of drinking/cooking water, or other foodstuffs (say Water Parsnip, Watercress, Arrow head (Sagittaria), Typha, etc… in their vicinity could put the person(s)/animals at risk from exposure to those toxins in the soil(s)/water? In other words, how much of their toxin leaches into the water/surrounding area, when damaged tissues or not damaged. Many councils/landowners, for example, use Brushcutters to slash down Hemlock Water Dropwort stands, flaying their tissues around and about. A question arises, do the toxins spread into the water/soils, do they denature quickly or last for a prolonged time, do they become absorbed by and/or coat local plants (food/medicinal?) plants, do they put at risk any collecting of drinking water from the vicinity and/or downstream (out of sight out of mind)? It’s a question for several people, and perhaps your colleagues could assist in finding a thorough answer in these regards? Bushcraft people taking food/water from waterway(s), and farmers farming livestock which livestock drink at and/or trample/crush such areas/tubers/plants, ought to know such things. Thanks for your extensive comment on my website. I thought it best to reply directly – I hope your wife won’t mind forwarding my reply to you. 1. I am currently working on a book. It will require the ability to read. I wish you luck translating extant texts into non-language based publications – feel free to convert my content. While I agree that electronic publications are fragile, they also have the advantage of allowing many thousands more people to share and access knowledge – and to interact as you have done here. I’d also point out that the extensive content on mine and other’s websites require many hundreds of hours of work and are usually offered up free of charge. There is a limit to just how much can be included, given the complexity of the subject. Foraging offers individuals the opportunity to take personal responsibility for what they choose to eat, and reduce their reliance on others to make decisions for them. It also offers a great opportunity to diversify diets and find alternatives to things they might not get on with. For example, this year a student on one of my courses tasted (and enjoyed) the flavour of coriander for the first time, despite being allergic to the plant, by trying coriander grass,aka. sea arrow grass triglochin maritima (http://www.gallowaywildfoods.com/sea-arrowgrass-identification-distribution-edibility/). She was, despite being strongly allergic to the plant coriander, prepared to carefully, and with precautions that she was comfortable with, try some. This despite me telling her that I knew of no research to say whether the compound imparting the flavour to the grass was the same as that in the plant. She was delighted, though I did further warn her that coriander grass can develop cyanogenic glycosides that can be harmful! She left with a sensible attitude to her new foodstuff! Similarly, another student tasted oysters via oyster plant for the first time. Allergies are just one strand of the potential harm that can be done by the wrong person consuming the wrong food for them. There are also vast opportunities for benefits. But both sides are individual to the consumer – one rule most certainly does not fit all. And in general, offering every possible benefit and harm any individual species can do to any individual is impossible, and would likely cause still more doubt and fear among those that doubt and fear. Having said that, I am a member of The Association of Foragers and one of the many things we discuss is knowledge and experience around food intolerances with regard to wild species. We are collating and sharing as much as we can, but the subject will probably require serious, extensive and expensive scientific research and a book of its own (per species!). Even then, it would be impossible to cover all potential adverse reactions. 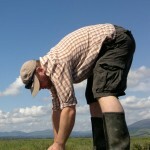 On this subject, you may be interested to read my post, and the comments thread on common hogweed (http://www.gallowaywildfoods.com/hogweed/) which may give you further insight into the complexities around this subject. 3.With regard to leaching of toxins, again, i’d say that, no one rule will fit all circumstances for all people. But common sense is helpful – I personally don’t see, and haven’t experienced, any great threat from leaching (and haven’t read any evidence of such with regard to the species I encounter). But (bearing in mind I am not in a survival situation!) I would generally avoid harvesting from areas with a lot of toxic species. 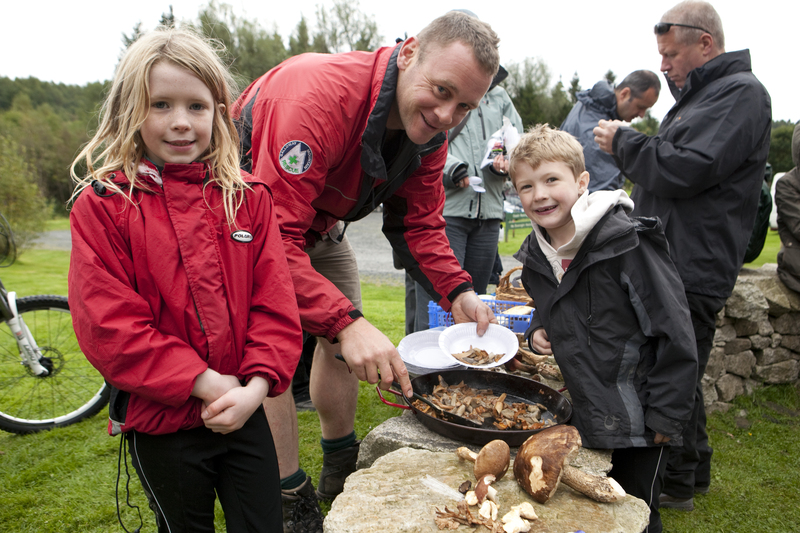 One of the joys of foraging is its pragmatism – there are always alternatives among the abundance of nature. In the absence of hard scientific data, it is not unreasonable for foragers to trust their intuition, common sense and what their body and environment are telling them. This is one of the key messages that permeates foraging.